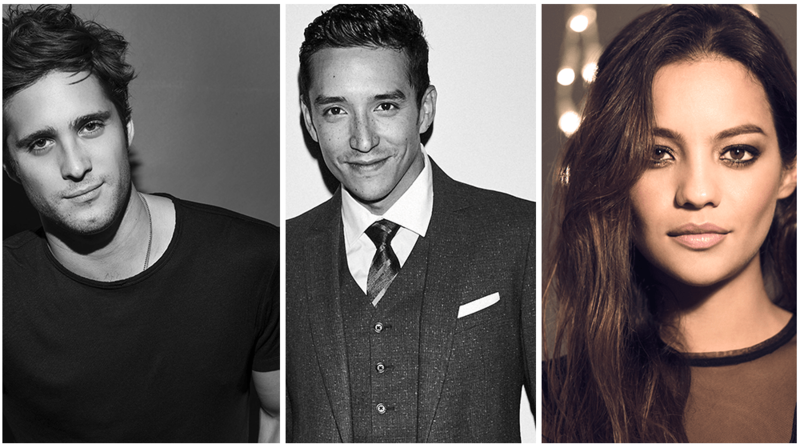 After a global talent search, Skydance Media announced today Natalia Reyes (“Lady, La Vendedora de Rosas”), Diego Boneta (“Scream Queens,” Rock of Ages), and Gabriel Luna (“Marvel’s Agents of S.H.I.E.L.D.”) will join Mackenzie Davis as the new stars of the latest Terminator project directed by Tim Miller (Deadpool) and produced by James Cameron and David Ellison. Specific details on the characters are being kept under wraps. As previously announced, Arnold Schwarzenegger and Linda Hamilton are set to star in the film which is scheduled for release the Friday before Thanksgiving on November 22, 2019. The movie will be a direct sequel to Cameron’s Terminator 2: Judgment Day, with Schwarzenegger and Hamilton anchoring the story while passing the baton to a new generation of characters. The film will be distributed domestically by Paramount Pictures and internationally by 20th Century Fox. Natalia Reyes, is a Colombian actress best known for her starring role in Sony’s hit Latin America series “Lady, La Vendedora de Rosas” and as one of the stars of Peter Webber’s Netflix original film Pickpockets. In 2017, she shot Sumergible produced by Ecuadorian director Sebastián Cordero and was part of Sticks and Stones a film by Martin Skovbjerg in Denmark. She just finished shooting Running with the Devil, an upcoming American thriller starring Nicolas Cage. Reyes is a graduate of the Lee Strasberg Theatre and Film Institute (New York City). Mexican-born actor Diego Boneta, made his feature debut in the musical Rock of Ages. He currently stars in The Titan, a Netflix sci-fi thriller with Sam Worthington, and next top lines “Luis Miguel: La Serie,” Netflix’s Spanish-language biopic series that tells of the story of one of the biggest singers from Latin America. Boneta is repped by UTA, Grandview and Hansen Jacobson. Gabriel Luna, starred as Robbie Reyes / Ghost Rider on the ABC action superhero series “Marvel’s Agents of S.H.I.E.L.D.” as well as the El Rey Network drama series “Matador, and the ABC crime drama series “Wicked City.” He starred in the films Freeheld and Transpecos. Luna is repped by UTA, Management 360 and Joel VanderKloot of Nelson Davis.